Kikay Corner was among the privileged bloggers who were invited by the people behind Mosbeau Philippines Inc. While I know that this country is already bombarded with a host of whitening products, it still interests me to learn about this generation’s newest skin innovations manifested in yet another product. As opposed to what could be considered as the generic in skin whitening nowadays, “Glutathione,” the products that Mosbeau carries (Mosbeau Placenta White Food Supplement and Mosbeau White Underarm and Inner Thigh Cream) are made from Placental Protein. Now, let’s size this product up a little further. 1. 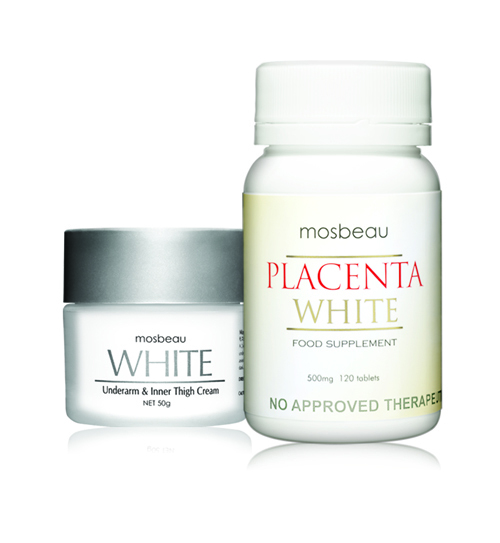 Placental Protein is better than Glutathione – the main ingredient in Mosbeau products, Placental Protein is currently the leading and the preferred whitening ingredient in Japan. 2. Mosbeau, with 27 years of expertise and experience in Japan, is now in the Philippines bringing with it two of its best-selling products, Mosbeau Placenta White and Mosbeau Underarm and Inner Thigh Cream. 3. Mosbeau is currently the only skin whitening product that is 100% made in Japan – it is conceptualized, manufactured and packaged in Japan. Angel Locsin, the new image model for Mosbeau, embodies the tagline of our current campaign, “I’ve changed for the better”.